Marta, I hope you have a fabulous birthday. 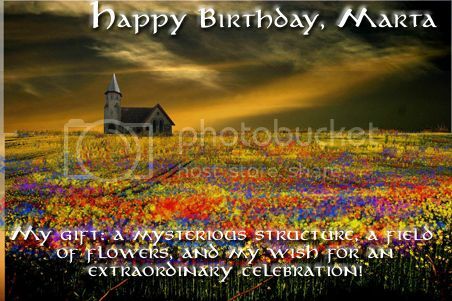 I was searching for a field of flowers to celebrate, but found this rather mysterious pic and just couldn't resist. I hope you enjoy it. Thank you. That's such a bright, happy field - a nice sunny thought for the day.